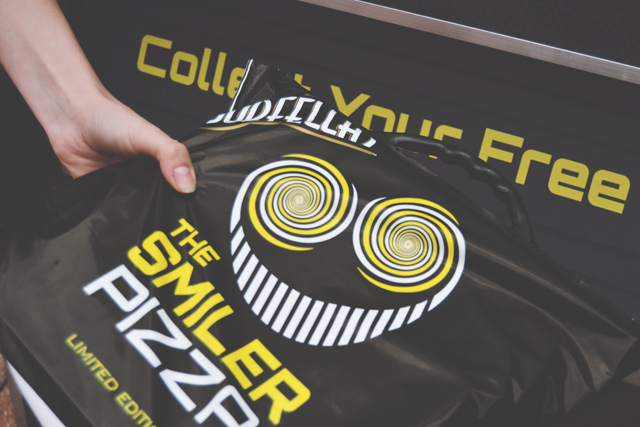 When I heard that Goodfella's Pizza were sending bloggers to Alton Towers to experience their Twitter-activated Smiler pizza vending machine in celebration of new ride, The Smiler, I jumped at the chance! 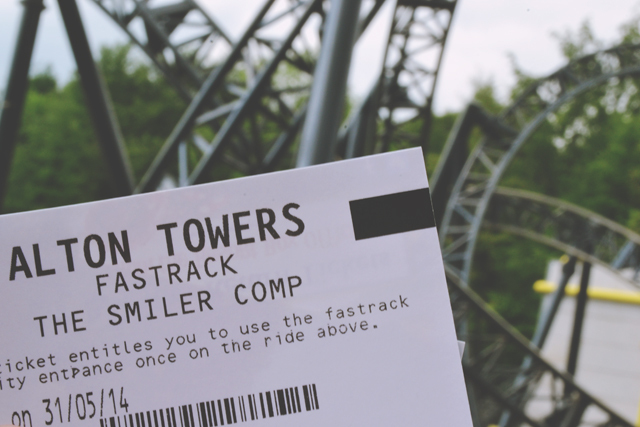 I was very kindly provided with two tickets to the park, as well as Fastrack passes for The Smiler. The Towers looked absolutely beautiful in the morning mist. We'd got there nice and early, and were blessed with perfect theme park weather. For me, cloudy, grey days are ideal for theme parks: You're not going to get hot, dehydrated or sunburnt when queueing for rides, and I find these sorts of days tend to keep the crowds away too. I'd heard of a sneaky tip and I don't mind sharing it with you guys: When you enter the park, turn left to avoid the crowds. 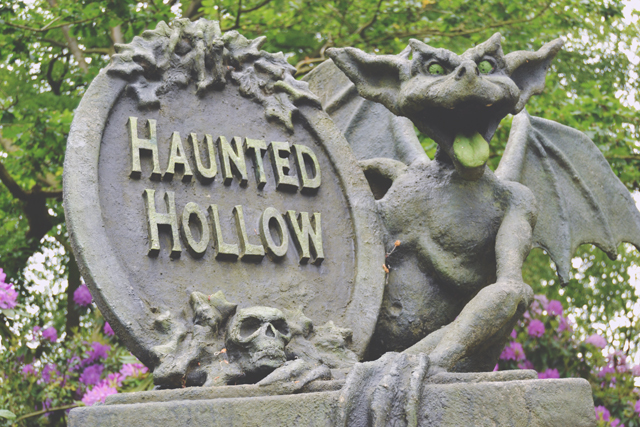 Marie and I headed through Mutiny Bay, and walked through the Haunted Hollow to get to the Forbidden Valley, home of Air, Nemsis, Nemesis Sub-Terra and Ripsaw. 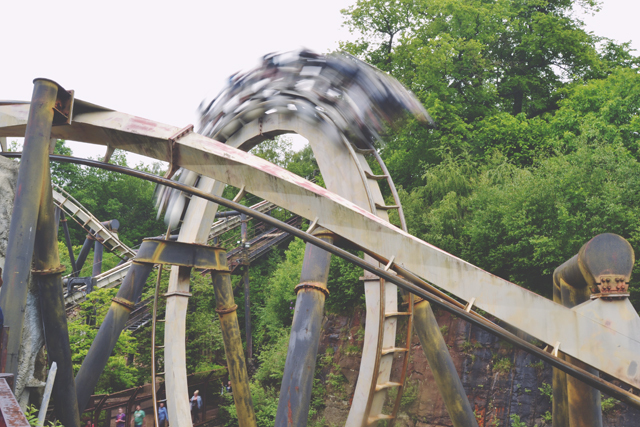 Nemesis is one of the classic Alton Towers rides, and is a lot faster than it looks from the ground! Ripsaw got us very, very wet, especially Marie who was soaked from head to toe. It was a very fun ride, but be prepared to get a bit soggy! After a quick flight over to the Dark Forest on the Skyride, we lined up for Rita, which is a crazy fast ride! It shoots you out from 0-100kmph in 2.5 seconds. I've never experienced anything like it before. Then it was time for Th13teen, which I was really excited about. I won't spoil it for anyone, but it certainly wasn't what I expected- in the best possible way! 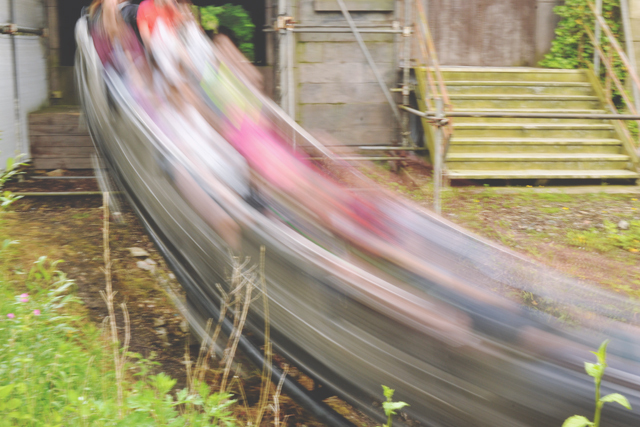 It's not the most thrilling ride at Alton Towers, but it's still a lot of fun. 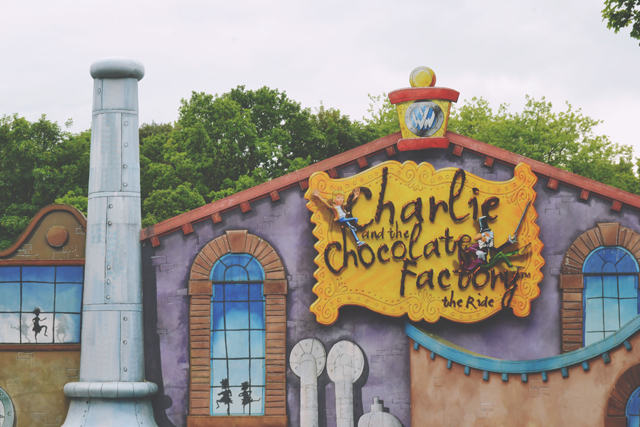 Before lunch, we decided to visit the Charlie and the Chocolate Factory ride. Yes, I know it's for children. Yes, we were childless. No, we didn't care! We queued for about 45 minutes, which was the longest line we had to face, so we were very lucky with the queueing situation! 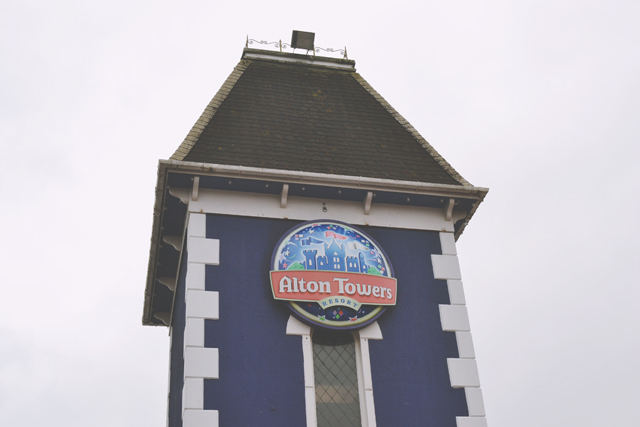 Alton Towers is interesting as there are no big name food chains. Instead, they have their own fast food restaurants for whatever you want: Chicken, pizzas, Mexican- it's all here. 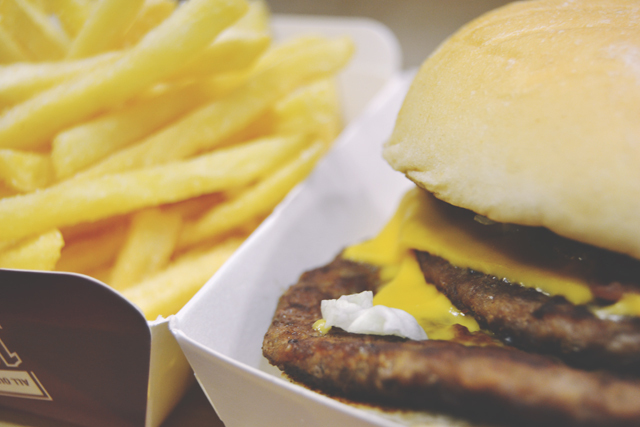 We visited The Burger Kitchen in Cloud Cuckoo Land, which served yummy burgers and fries. 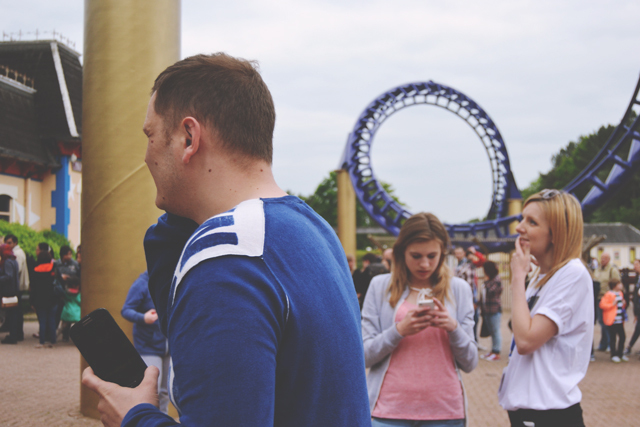 On the way to X-Sector, we popped onto a ride called Hex, which is found inside the Alton Towers house itself. It's a very surreal, disorientating ride based around a mythical tale of the resident Earl of Shrewsbury. Nothing prepared me for the beautiful exit! 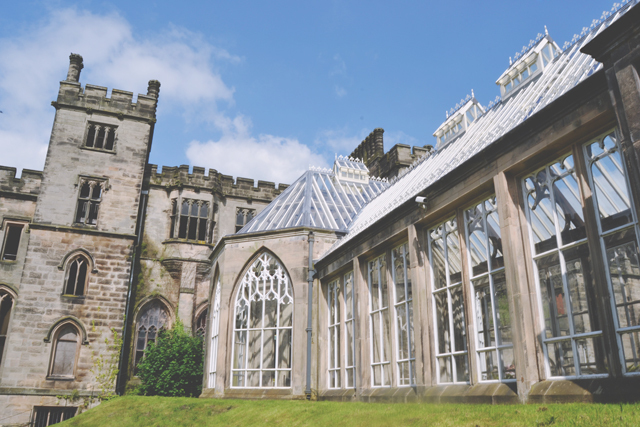 The sun had briefly peeped out, which was perfect timing, as it showed off the stunning gothic revival architecture in all its beauty. The Towers have a really interesting history behind them which I had no idea about! 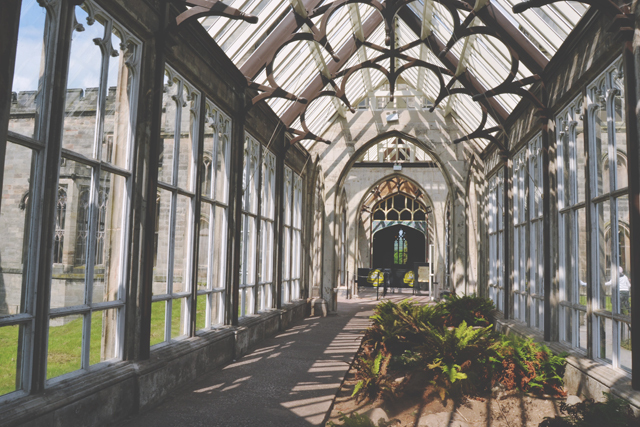 It's such a wonderful building, and the surrounding areas are gorgeous. They're the perfect spot for a picnic with such a pretty view over the large pond. 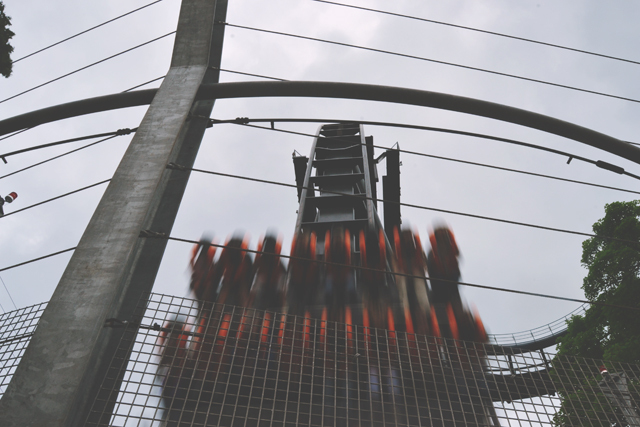 When I last visited Alton Towers way back in 2002, I was desperate to go on Oblivion, but my dad was scared of heights and I didn't want to go on my own. Let me tell you, it was worth the 12-year wait! It was definitely one of my highlights of the day- So terrifying but, when you're falling face first towards the ground, it's such a free feeling! 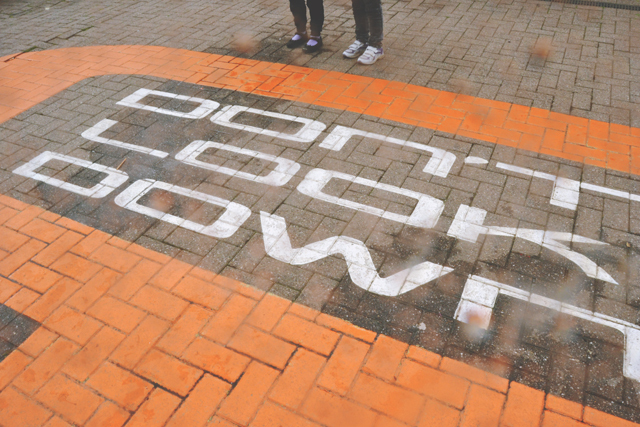 When you're suspended horizontally at the top of the drop, all you can see is this sign on painted on the floor. Nice touch! 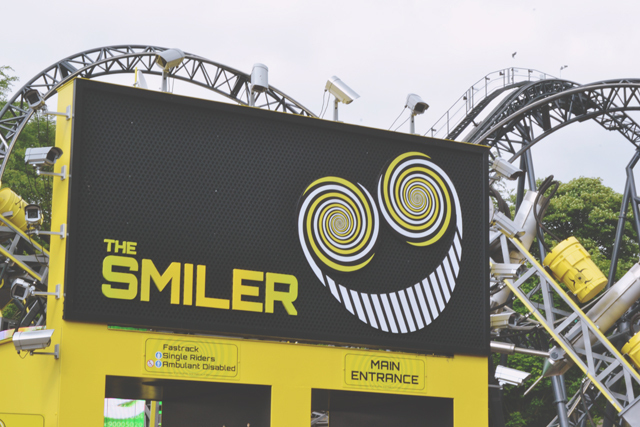 Then it was time for the big one: The Smiler itself! The Smiler has 14 loops, which is the world record. It has a really cool concept too: Riders go through an experience to brainwash them into belonging to The Smiler. Our Fastrack tickets came in really handy since, as you can imagine, the queues were very, very long! I really recommend buying Fastrack passes if you can, as it's well worth avoiding the 2-3 hour queue! The Smiler is just under 3 minutes long which, although it sounds like a short time, is the longest ride I've been on. 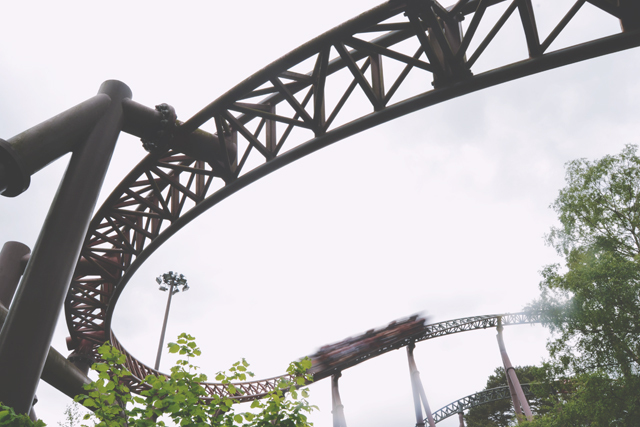 With speeds of up to 85 kmph and a 30m drop, it's perfect for thrill seekers. The vertical ascent is a particularly thrilling element! 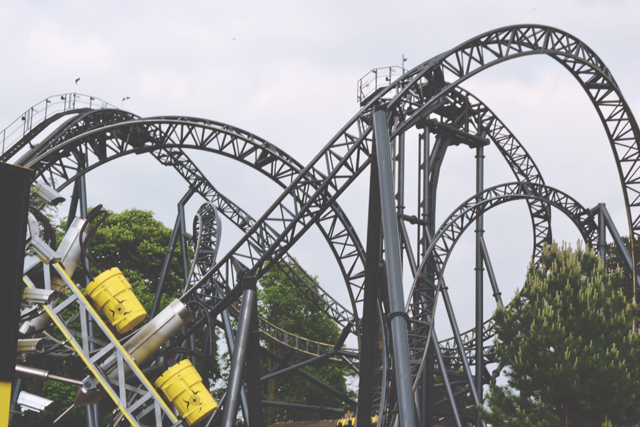 The Smiler is so disorientating and a real experience- Even after the ride, optical illusions ensure you don't feel entirely comfortable! Afterwards, we thought we'd have a gentle spin on Enterprise to chill out. 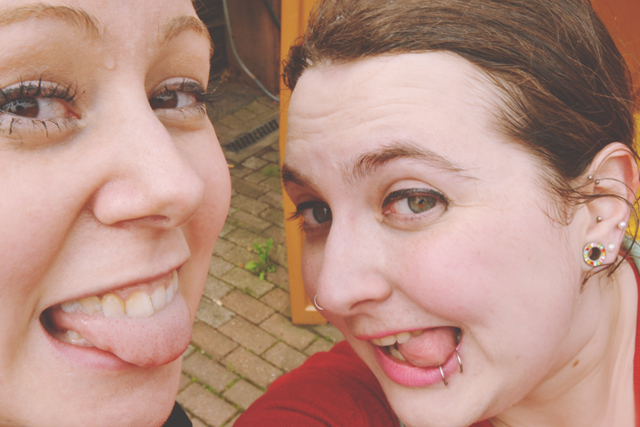 Although I found it an oddly relaxing ride, Marie felt very queasy so it's definitely one for the strong-stomached! 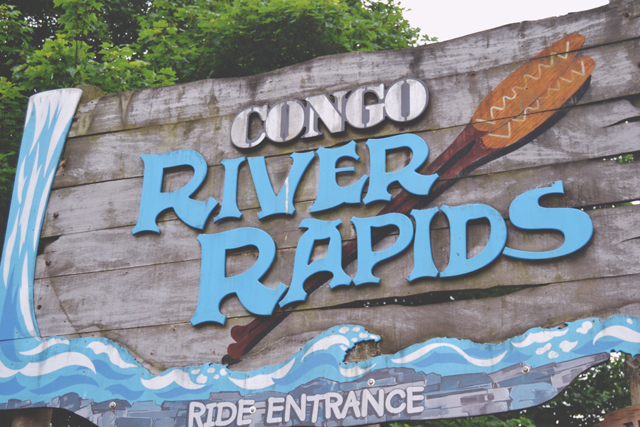 Before heading home, we headed back through Mutiny Bay to visit Katanga Canyon and ride the Congo River Rapids (or Rubber Dinghy Rapids, as I like to call them!) We were lucky not to get wet, as they are very bumpy rapids, with double waterfalls and water pistols operated by other visitors to the park! By the time we'd exited the rapids, it was closing time, so we headed to the park exit and located the Goodfella's Twitter-activated vending machine. 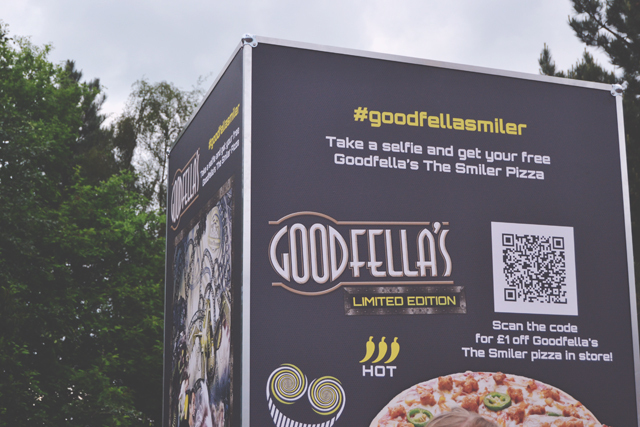 To operate the machine, all you had to do was upload a selfie in front of the machine with the hashtag #GoodfellasSmiler and hey presto! Your free pizza popped out of the machine! 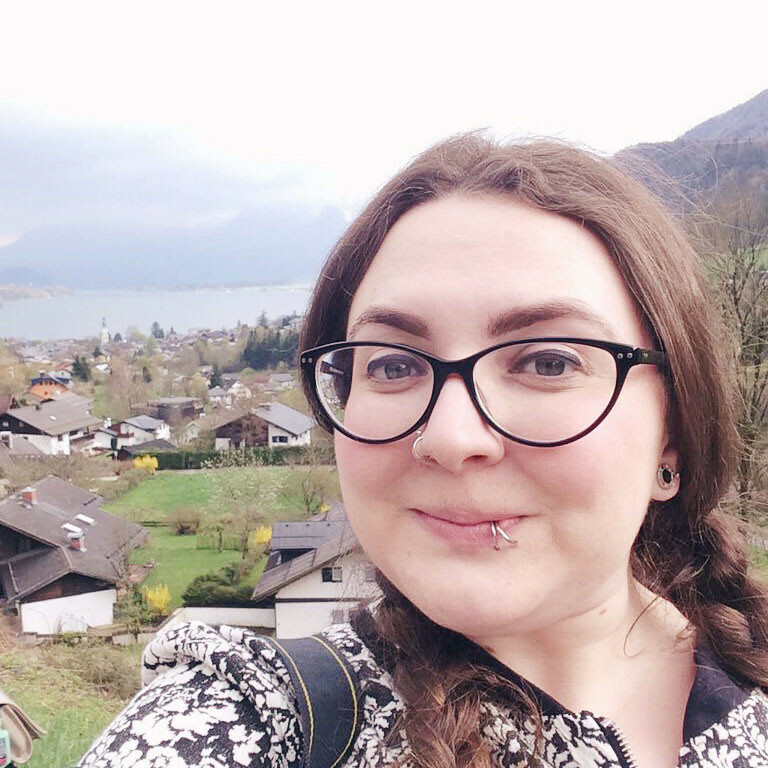 It's not exactly a secret that I love both Twitter and a good selfie, so this was perfect for me! There were lots of others taking full advantage of their free pizzas too! Twitter and Instagram is awash with people enjoying their free pizzas. Marya and Lucy were very excited to try theirs, and Marya kindly sent me this photo of her ready to tuck in! I couldn't wait to try it out! It had a 3 chilli hot rating, and I love my hot food! 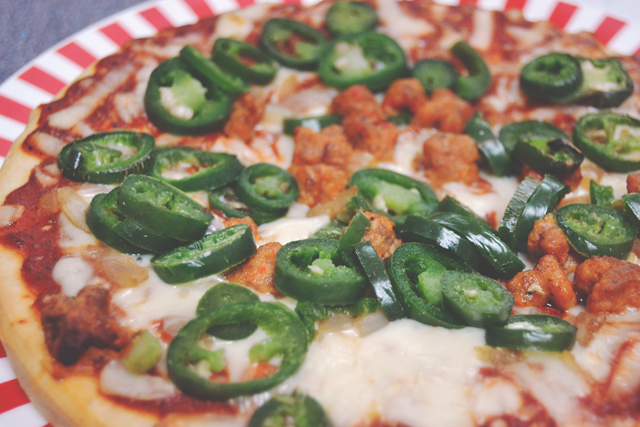 When the deep pan pizza came out of the oven, it looked delicious, with spicy sausage, jalapenos and lots of delicious melted cheese! It was certainly hot! Hot, hot, hot! If you're sensitive to heat (like Rich! ), you can pick off the jalapenos and still be confident that you're going to have a tasty meal. The sausage is slightly spicy and the cheese acts as the perfect palette cooler to stop your tongue catching fire! 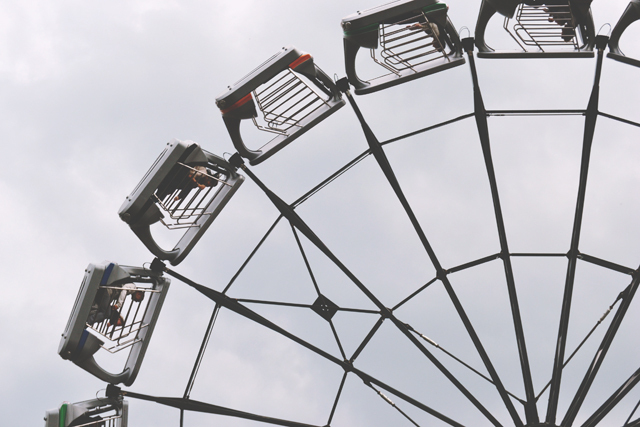 Just like The Smiler ride, it's ideal for thrillseekers! If you're a heat fan like me, I definitely recommend it! It was the perfect end to a fun-filled, thrilling day. 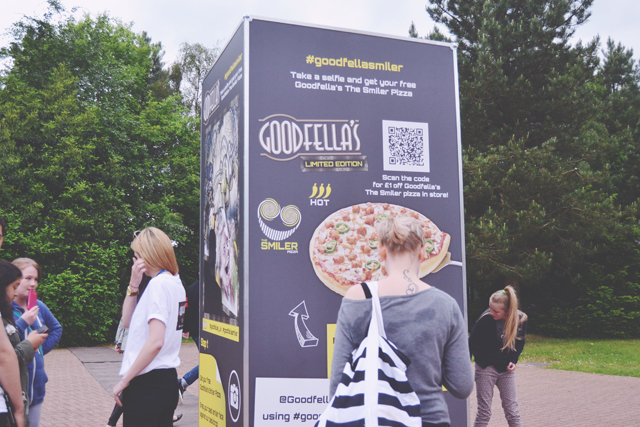 Huge thanks to Goodfella's, Alton Towers and, of course, Marya, Lucy and their friends: Thank you, you amazing people! Oh no! Such a shame! 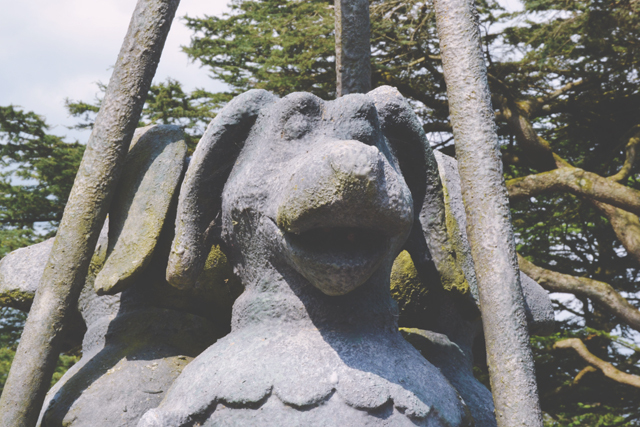 I love Alton Towers! Kris and I went... maybe two years ago now. I think when Thirteen was new! The park itself is actually lovely and then the rides just add to the excitement. I also made Kris queue up for the Charlie and the Chocolate Factory rides. I promised him free chocolates... we didn't get any. I can't believe you didn't get free chocolates! The cheek of it! It's amazing! I agree about the marketing- Such a clever idea! I've never been to Alton Towers. My high school had a trip there every year but I never went because it was like an 8 hour drive. Looks fun though. I love Goodfellas pizzas. You must go! It's such a long distance but well worth it. The best thing to do would be stay in the hotel (or one near!) to justify the distance. Ooh it must be amazing to live so close! This looks like wonderful day out and what a great opportunity! 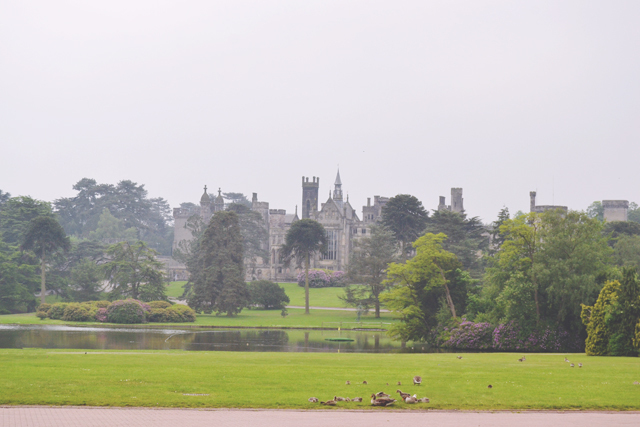 Alton Towers itself looks great, like something from Harry Potter. Yes, it does! It's so pretty! Oh that's such a shame! I definitely recommend it if you get the chance! 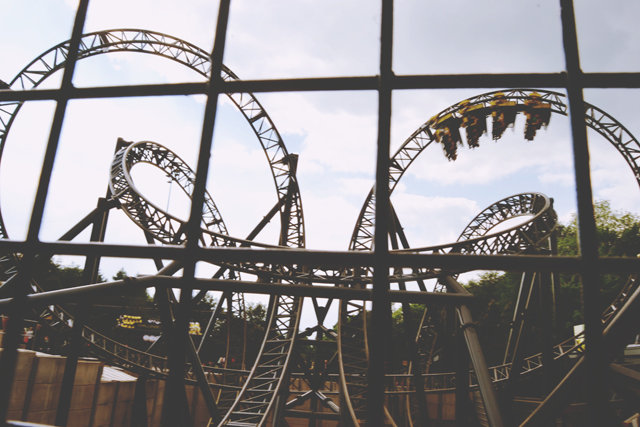 I've never been to alton towers but i'm dying to! since becoming a lover of rollercoasters i haven't yet found one that i've been scared of which is a bummer :( have to say though, creepy rides like ghost trains i hate! You need to go! It's amazing! 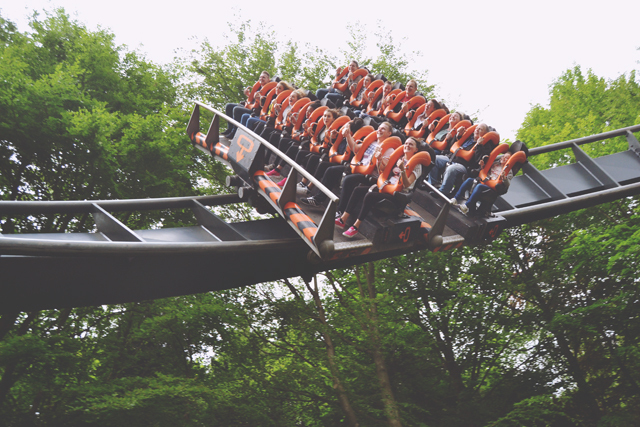 Alton Towers is the BEEEEEST place ever.